What is a more iconic pattern than the classic pin-up girl polka dots? 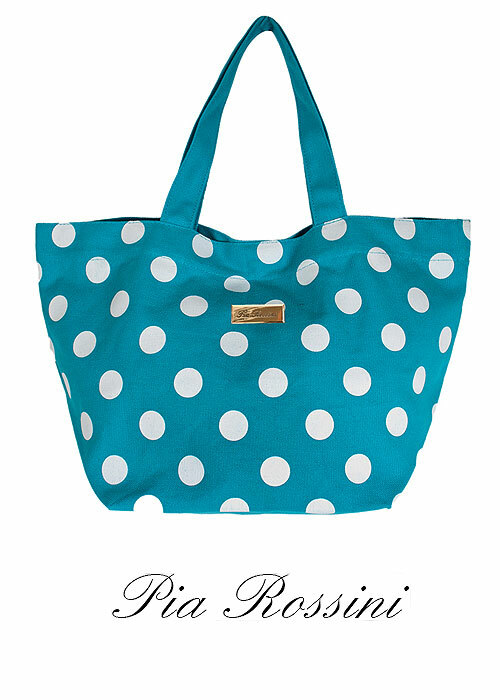 We love this miniature beach bag, with its deep, rich back-colour and bright white dots that stand out in vibrant contrast. The bag is fully lined in a continuation of its outer colour and the cut is a tote style, perfect as a small handbag to hold your beach accessories, your sunglasses, your sun lotion, that 500-pager you've been meaning to get through and even a folded-up pareo. The bag is finished beautifully with a silver metallic Pia Rossini emblem.